USA Tax Law for Green Card Holders in Israel | Philip Stein & Assoc. If you are a U.S. Green Card holder, you are obligated to file an annual U.S. tax return, regardless of your country of residence. 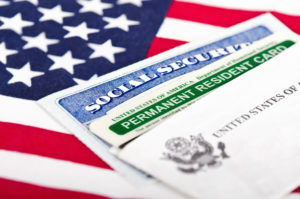 Green Card tax law is a specialty niche of Philip Stein and Associates. Our firm’s unique experience in the nuances of Green Card tax law has helped our clients save millions of dollars. Voluntarily giving up your Green Card, or allowing it to expire, is a complex process which can have significant tax ramifications for years to come. We are here to help you throughout every step of filing your tax returns, and will ensure you complete the process in the most advantageous way, minimizing any tax due. Retroactively filing your tax returns. Filing your returns in the most efficient and tax effective way possible. Guiding you through giving up your Green Card properly.